Stock for the New York beverage company Long Island Iced Tea Company jumped by nearly 300% after it announced it was changing its name to the the “Long Blockchain Company” last December. The company announced it was shifting its focus from non-alcoholic beverages to blockchain technology and said that it planned to purchase 1,000 bitcoin mining rigs and partner with a blockchain-focused fintech company. Recently, the SEC began investigating the company, although few details regarding the investigation have emerged. When a New York-based beverage company called Long Island Iced Tea announced that it planned to change its name to “Long Blockchain Company” during the height of the cryptocurrency craze last December, its stock jumped by nearly 500%. The newly rebranded Long Blockchain Company’s foray into the cryptocurrency-inspired technology was more than just a marketing strategy. Long Blockchain Co. followed up with a series of announcements that suggest that the beverage company had serious ambitions as a technology company — despite having no blockchain assets at the time of the announcements. So far, the company’s pursuits in blockchain technology include the addition of two technology entrepreneurs to its board, a new CEO, plans to purchase 1,000 bitcoin mining machines, and a forthcoming partnership with a British, blockchain-focused fintech company. But now, the company’s blockchain involvement has drawn scrutiny from the Security and Exchange Commission. 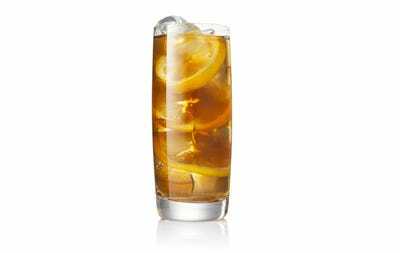 Bloomberg reports the SEC has been investigating the Long Island Iced Tea with a request for documents dating back to early July. Long Blockchain Company, which didn’t immediately respond to requests for comment from Business Insider, told Bloomberg that they fully intend on cooperating with the SEC’s investigation. For now, the beverage company’s pivot to blockchain looks like it might have been only a short-lived success. Since December,the company’s market value dwindled to under $US5 million after the Nasdaq said it planned to delist its stock.